Manila, Philippines - Team Philippines beats Kazakhstan, 88-58 in the FIBA Asia Championship Quarter-finals do-or-die game on Friday, August 9, 2013 held at the Mall of Asia Arena, Pasay City. Philippines now advances to the semi-finals game tomorrow. At the middle of the fourth quarter, millions of viewers expect winning the game as the team showed a powerful performance and a wide lead up by at least 31 points on last 2 minutes. 'El Granada' Gary David explodes for 22 points on four-of-six shooting from long range. Meanwhile, Japeth Aguilar had 11 points and nine rebounds. Smart Gilas Pilipinas widened lead over Kazakhstan on the first quarter of the game, 32-15. 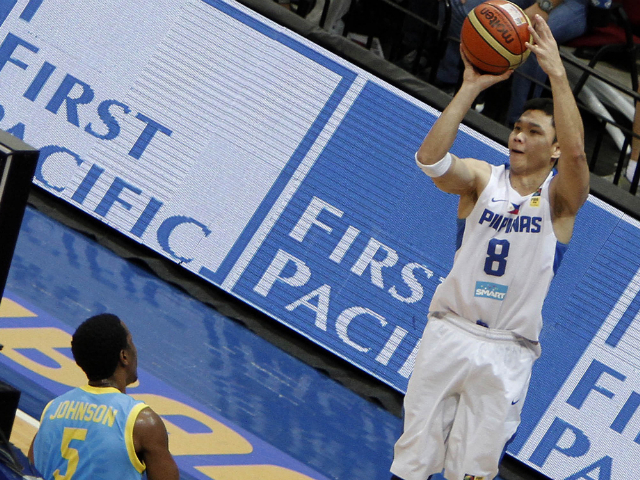 However, Kazakhstan is quick to regroup in surviving Gilas' early avalanche on the second quarter. The second quarter of the match ends with Philippines still leading by 11 points. Norwood opened second half of the game with 3-point shot. 21 seconds before 3Q ends, Castro steals and scores in a breakaway then Aguilar soars high for the fast-break to put up 14 lead. This fueled Gilas to restore superb performance as did in the first half. Pingris was called for a pushing foul and a technical foul in one sequence of play. Kazakhstan was led by Dmitriy Klimov, who drained 4 3-pointers and ended up with 14 points. It falls to the classification round and will battle the loser of the Qatar-Korea game. Kazakhstan (58) - Klimov 14, Jonson 8, Ponomarev 8, Yevstigneyev 6, Murzagaliyev 5, Lapchenko 5, Bondarovich 4, Sultanov 3, Zhigulin 3, Yargaliyev 2, Bazkhin 0.